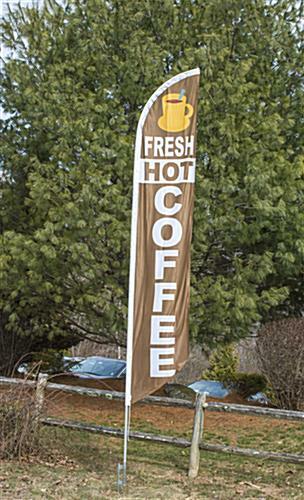 These fresh coffee feather flags feature an aluminum pole with a ground spike for placement in grass and dirt. 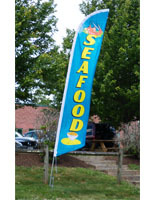 The banners feature a brown background with bold white text that can be seen from a distance. 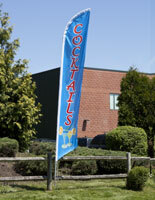 Each of the coffee feather flags is made of durable polyester with an aluminum pole that measures 14' tall. 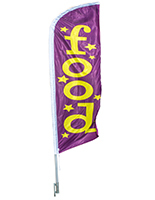 The ground spike signs are great for placement outside of restaurants, cafés and other venues because their bold white text will attract customers. 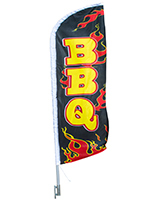 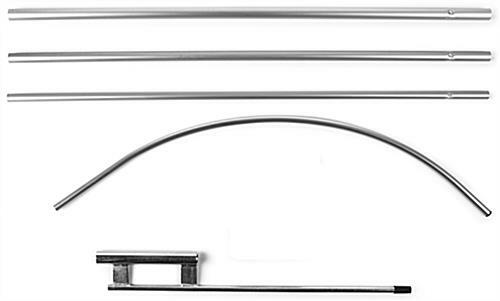 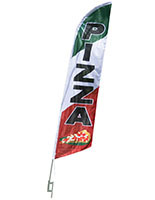 The aluminum feather flags ship in (4) pieces but can easily be assembled for immediate use. 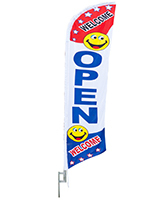 Banners like these are also available with a number of other messages.